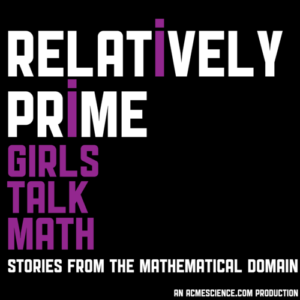 On this month’s episode of Relatively Prime we are excited to bring to you the story of Girls Talk Math. Girls Talk Math is a 2 week mathematics camp for high school women, as well as a podcast made by the campers about women from the history of mathematics. Samuel spoke with the founders Francesca Bernardi and Katrina Morgan about where the idea came from, why they decided to include podcasting as part of the camp, and the ways they reached out beyond the typical women you would expect to want to attend a summer mathematics camp. You can see how you can get involved here.